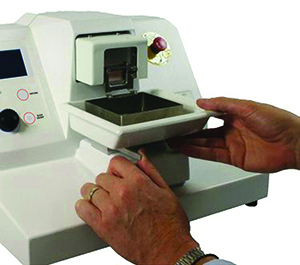 Top-of-the-range, high precision, vibrating microtomes... the finest slicers in the world for all specimen preparation. 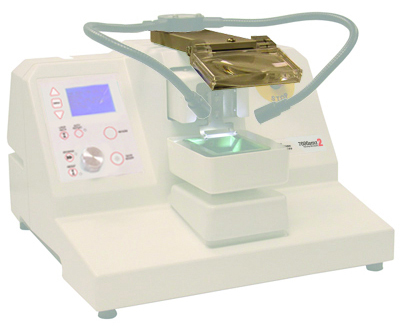 The 7000smz-2 unit with a Z-axis deflection of Sub-Micron and a blade advance controllable to 10 microns/second. The 5100mz-Plus and 5100mz are very competitively priced high precision units with a Z-axis deflection of only 1-2 microns and a blade advance controllable to 10 microns/sec. On all units the section thickness step size is 0.001mm. 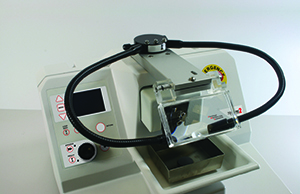 The 7000smz-2 and 5100mz-Plus are supplied with their own Z-axis calibration verifier. The effect of excessive Z-axis deflection on the health and viability of the tissue preparation has been much discussed since the publication of Jonas et al (2003) and the 7000smz-2 will now deliver perfect sections every time with sub-micron Z-axis deflection across a wide range of vibration speeds and amplitudes. The affordable 5100mz-Plus offers almost the same features with Z-axis deflection of 1-2 microns at all vibration speeds and amplitudes, which is less than most other microtomes on the market. The all-new user interface is both easy to use and versatile. 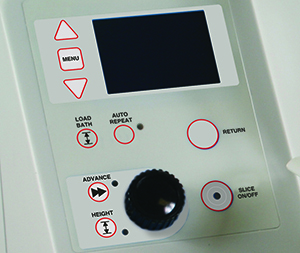 The 7000smz-2 and both 5100mz models offer similar operation at the press of a button. The versatility includes simple operation at the push of a button or a range of changeable and programmable parameters and a menu enables the settings of your own preferences. The 7000smz-2 also gives you longevity of performance; in other words it not only gives submicron performance out-of-the-box, but the advance vibrating mechanism does not contain bearings and other components subject to wear. 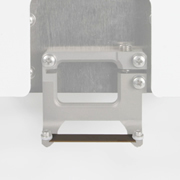 Consequently it will retain the sub-micron Z-axis deflection performance for years to come, giving you consistency in your biological preparation. Tissue cooling is accomplished by the use of either an ice-water bath or an electronically comtrolled thermo-electric cooler. Other options include a LED cold light source and a magnifier or a stereoscope for clear observation whilst slicing. The new 5100mz series Vibrating Microtomes share the user interface with the premium 7000smz-2, placing a wide range of adjustable parameters at the user's fingertips. Use in fully manual or the semi-automated "slice window" mode which automatically remembers the start and finish position of the slice. 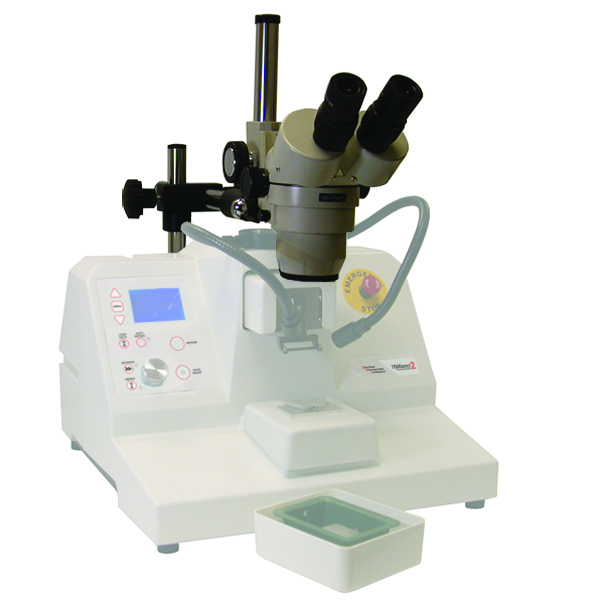 This new entry level microtome is perfect for techniques such as histology, organotype slice culture and low resolution imaging with a fixed blade holder and a mechanism Z-axis error rate of 5-8µm. 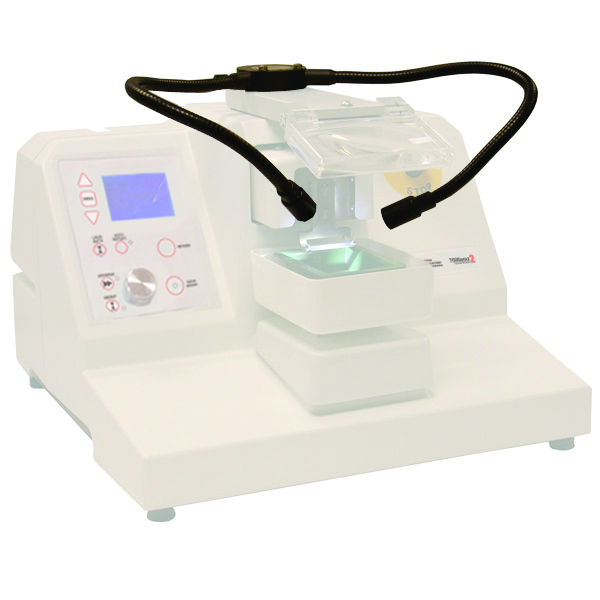 The 7610-A Tissue Bath Cooler Unit is intended for use with our 7000 and 5100 range of vibrating microtomes. Unfixed brain slices sectioned at 4°C give better tissue preservation and are viable for longer in-vitro recordings. Additionally, some enzyme histochemical techniques give better staining results when sectioned at low temperatures. The 7610 Series coolers use "Peltier" thermoelectric elements. The stainless steel tissue bath and mount are detachable to allow sterilization by autoclave if required. *Note that the actual temperatures achievable will be dependent upon the solutions used and local temperature conditions. 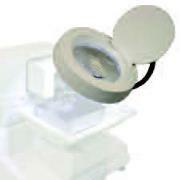 A magnifying glass for general global slices offering approximately 1.5x magnification. Integral cold light powered directly via the Model 51-mz Vibrating. Optional kit to upgrade the 5100mz to the 5100mz-Plus. 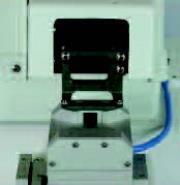 Allowing the user to optimately calibrate the Z-axis deflection of the blade to 2± 0.1µm. The new blade holder design is now included with all Integraslice and Vibroslice instruments. 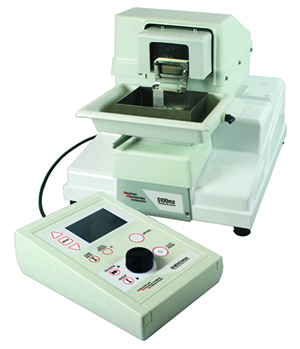 7550-1-C and 7550-1-SS are designed for new Integraslice instruments. The finest vibration microtomes with sub-micron z-axis deflection at all speeds and amplitudes of vibration.